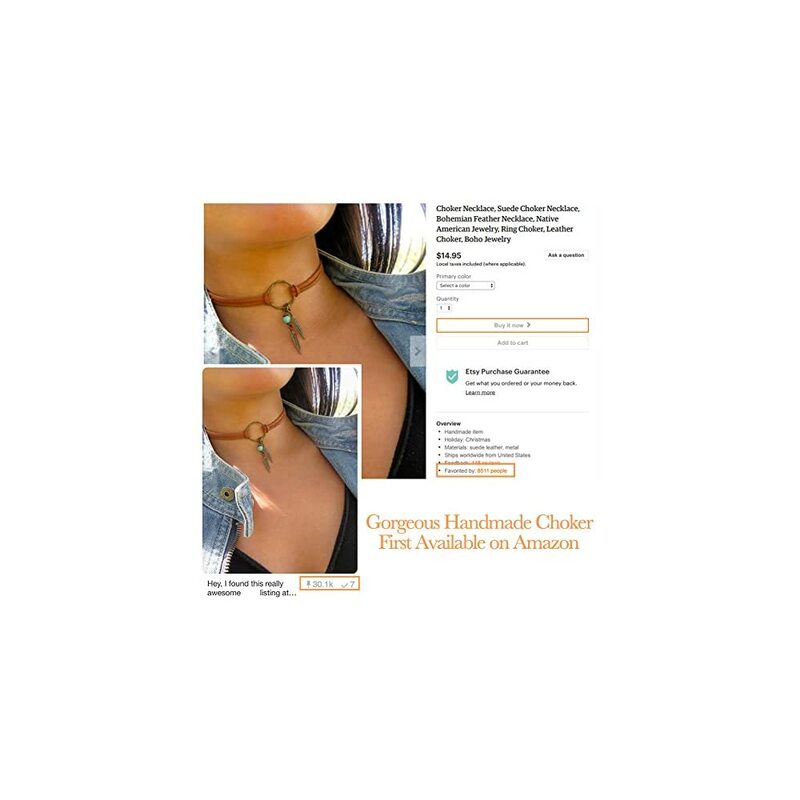 Complete any outfit with this unique gorgeous fashionable and trendy choker necklace. 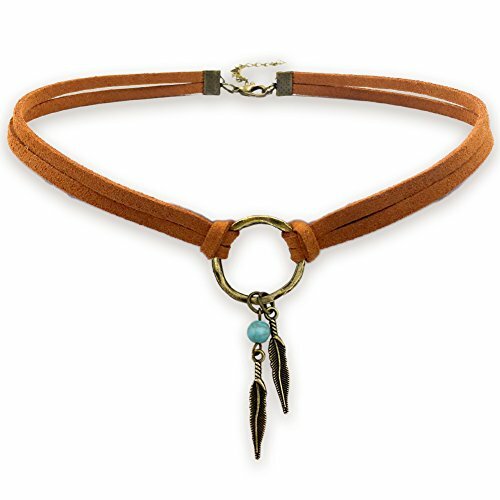 Made from quality suede leather cord, 22mm metal ring, feather charms, and 6mm turquoise gemstone bead. 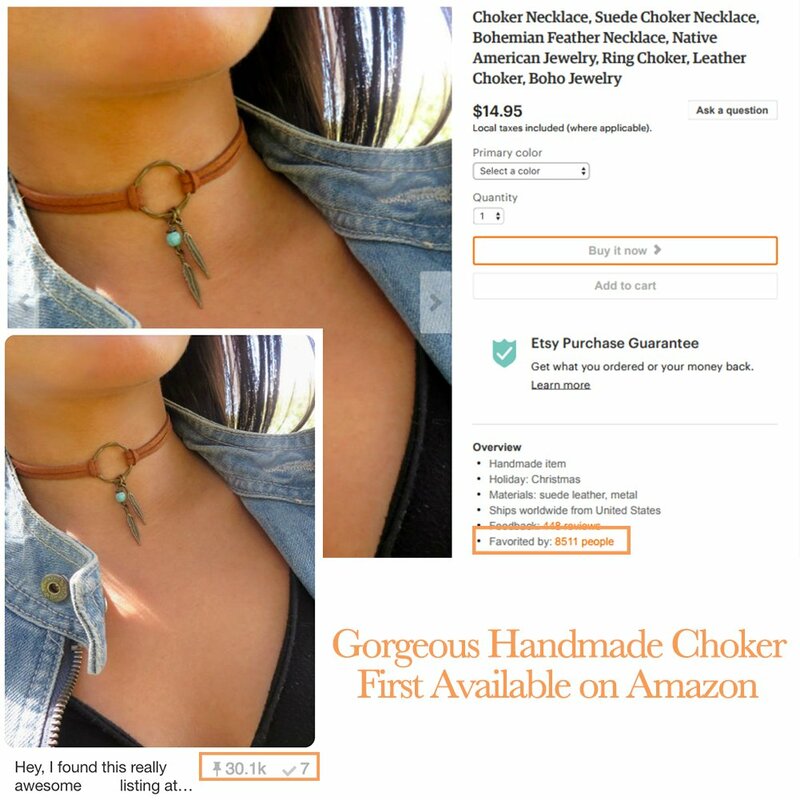 Hot handmade choker first available on AMAZON. EXCLUSIVE dainty necklace for women and girls. Choker length: 12 inches + 2.5 inch extension chain. Pink Unicorn. MAKE YOUR OWN MAGIC. 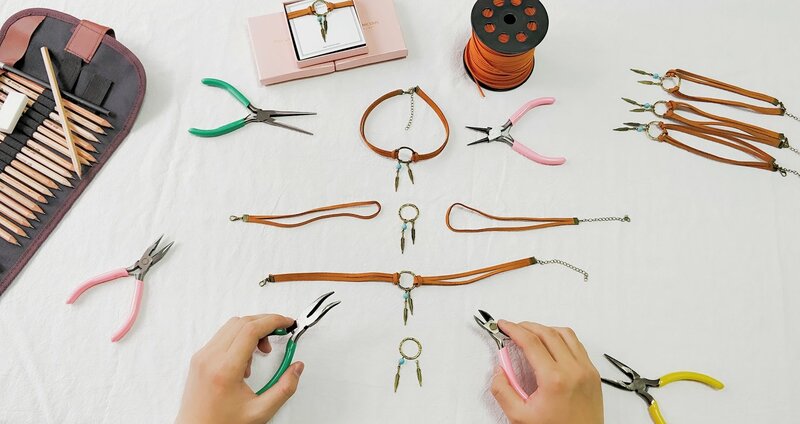 You deserve better jewelry. 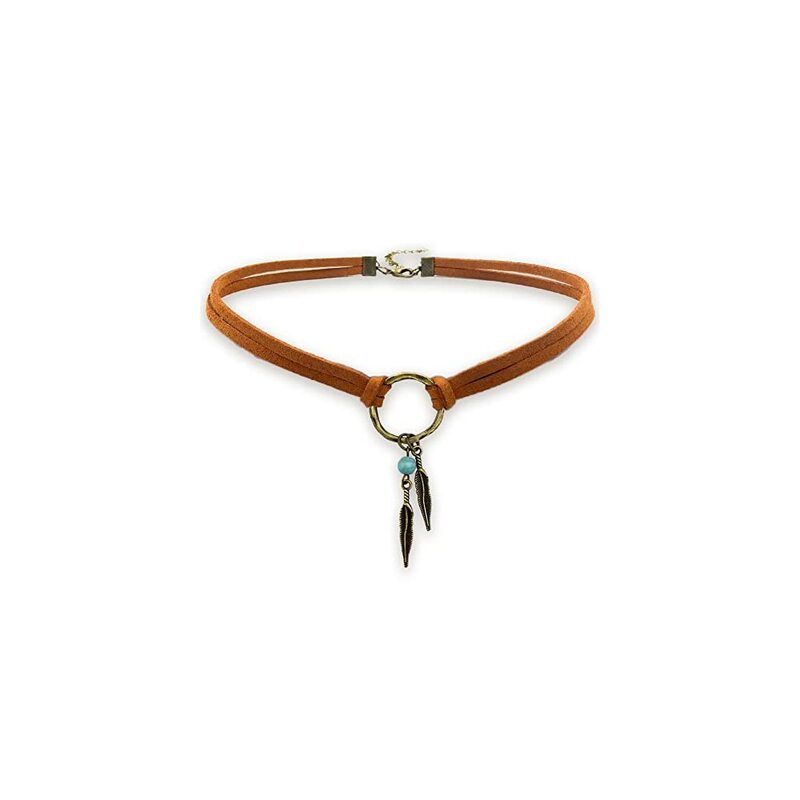 I simply adore this choker necklace. It is beautifully made and so easy to wear. I love the feathers charms and the turquoise bead. It is very good quality and great value. Will be buying from this seller again.